At the Law Office of Gerald Brody & Associates, we defend the rights of San Diego workers who are injured in accidents involving heavy trucks, buses, and other company vehicles. We’ll help you make sense of your case so you can focus on what’s most important – your recovery. Give us a call at (619) 528-9800 to schedule your free consultation. The transportation industry is rife with dangerous working conditions – all it takes is an instant for the worst to happen. If a truck driver is unable to stop on a slick road or if he blows a tire while driving on a packed freeway, the consequences can be dire. In fact, according to the Bureau of Labor Statistics, transportation incidents are the leading cause of on-the-job fatalities across all job categories, accounting for more than 25 percent of worker deaths overall. At the Law Offices of Gerald D. Brody & Associates, we represent employees who are injured on the job in accidents involving semi trucks, buses, and other company vehicles. Often, workers are not the sole parties responsible for these incidents, and they may be able to seek workers’ compensation for their injuries. The following are just a few of the types of transportation workers we help. What Transportation Workers Do We Represent? 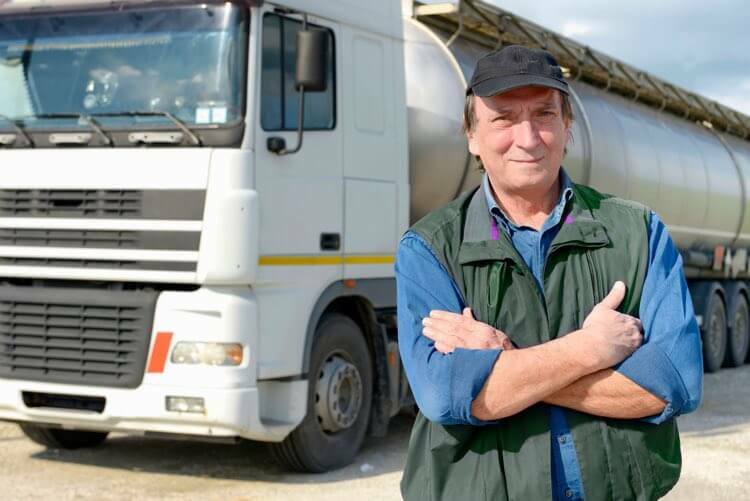 Which Transportation Injuries are Eligible for Workers' Compensation? A Musculoskeletal Disorder (MSD), which is an injury that results from overexertion, such as moving something heavy and pulling a back muscle. A fall from an elevated work surface like a vehicle or loading dock, which often results in a back or knee sprain. A fall to the ground from the same level due to slipping or tripping, which commonly results in a back or shoulder sprain. Being struck by an object on a truck or forklift, which can result in a smashed finger or a crushed foot as well as cuts and bruises. A vehicle-related injury stemming from a collision with another car, resulting in a back or neck injury (also called whiplash). What Are Some Challenges Following a Transportation Accident? After a transportation accident, recovering from your injuries should be your first and only priority. However, your employer has likely started preparing for you to file a workers’ compensation claim and already has a legal team working on a way to avoid responsibility. This can be incredibly frustrating – especially when you’re in pain and still trying to make sense of the accident yourself. That’s where a San Diego workers’ compensation attorney can help tremendously. Whether you’re recovering from a minor car accident or you suffered a spinal cord injury that has left you permanently impaired, every last dollar of compensation matters if you’re unable to work. At the Law Offices of Gerald D. Brody & Associates, our attorneys will evaluate your case, gather your medical records, call on expert witnesses, and support your claim in court. As experts in workers compensation law, we’re passionate about helping workers injured in transportation accidents. No matter how complex your case may be, we’ll fight tooth and nail to help you collect the benefits you deserve. Contact us today to schedule your free initial consultation by giving us a call at (619) 528-9800. Truck drivers spend hours on the road every day. Sitting for prolonged periods can cause chronic lower back pain and put stress on muscles and joints. Many transportation workers are also required to help move their loads once they’ve reached their destinations. Lifting heavy boxes, cartons, and containers can cause back pain and strained muscles in the upper extremities. Truckers and delivery drivers spend most of their time sitting in their vehicles. However, accidents can happen when getting in or out of a truck or bus, and when loading or unloading materials on an elevated platform. Falling from a vehicle or shipping dock can cause knee and back sprains. Making deliveries to upper floors is also risky for truck drivers. A single misstep can cause a worker to fall down a flight of stairs and get seriously injured. Truckers, bus drivers, and delivery drivers are at risk for being struck by objects when loading or unloading a delivery. Vehicle parts, lift gates, pallet jacks, and forklifts can strike a trucker or bus driver and result in crushed limbs, cuts, and bruises. Injury can also occur if a heavy box or carton falls on a transportation worker when loading or unloading a delivery. It’s always sunny in San Diego, but a trucker’s route could take him or her to regions with inclement weather. Rain, fog, snow, and ice can cause treacherous driving conditions that may cause a trucker or bus driver to lose control. Or, a small car may cut off a large truck in broad daylight and cause a collision. A vehicle accident can result in a spinal cord injury, broken bones, or death. Have you been hurt on the job? Call a transportation workers’ compensation attorney. Compared to all occupations, truck drivers are three times more likely to suffer an injury on the job, according to the Bureau of Labor Statistics. Whether you tore a muscle in your shoulder unloading a heavy delivery or you suffered a spinal cord injury in a vehicular collision, a transportation workers’ compensation attorney can help you collect the benefits you need to make a physical and financial recovery.